America’s most prominent bank CEOs, preparing to be grilled by Congress this week, say their institutions are much safer in the 10 years since the financial crisis, thanks in part to regulation. Big bank executives — including Citigroup's (C) Michael Corbat, Bank of America's (BAC) Brian Moynihan, JPMorgan Chase's (JPM) Jamie Dimon, Goldman Sachs’s (GS) David Solomon, and Morgan Stanley's (MS) James Gorman — are expected to testify on Wednesday for several hours before the House Financial Services Committee's 59 members. The nation’s top bankers released their prepared marks on Monday evening ahead of the hearing. The event, ominously entitled “Holding Megabanks Accountable,” could spark fireworks given the power shift to House Democrats and the widening national debate over income inequality. JPMorgan’s Dimon, the sole remaining CEO to have shepherded his bank through the crisis and still holds the reins, wrote that there’s no doubt the “strength, stability, and resiliency” of the financial system has “fundamentally improved” since the 2008 financial crisis, and the deep recession that followed. 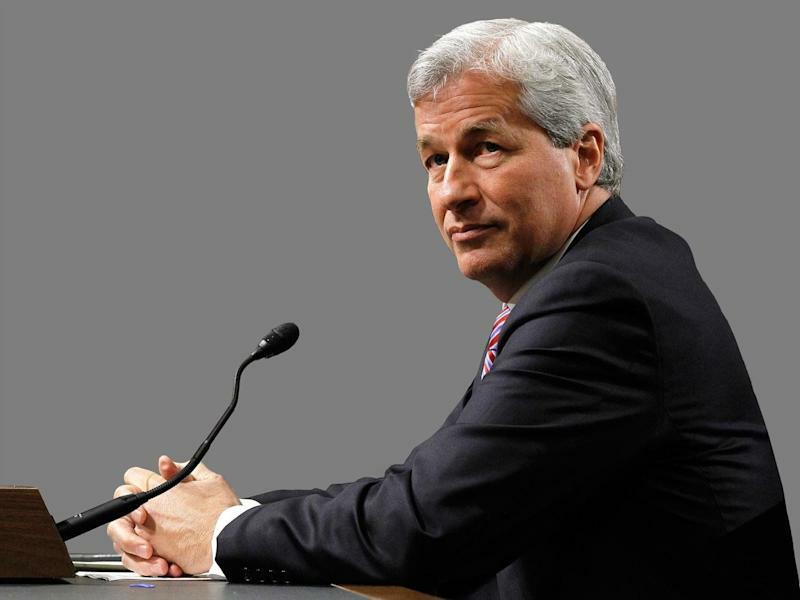 “When bank CEOs appeared before this Committee in February of 2009, the nation was still in the process of reacting to the depths of the crisis, we were still taking stock of the impact and had only begun to contemplate legislative and business changes that needed to be made,” Dimon wrote. “Ten years later, this experience continues to shape the perception of the U.S. economy and has had broader implications around American’s faith in our institutions and the values that underpin our democratic system,” he added. In the aftermath of Washington passing far-reaching regulations, “we have fundamentally improved the safety and soundness of our financial system, substantially raised capital and liquidity requirements at our largest institutions and established a credible resolution planning process to ensure that taxpayers will no longer be on the hook in the event of failure,” Dimon added. Citi’s Corbat also acknowledged the U.S. taxpayers’ role in bailing out his firm — a hugely unpopular move that continues to be debated to this day. The CEO vowed never to be put in that position again. For his part, Goldman’s Solomon pointed to regulations such as Dodd-Frank that made the financial system more sound. In the wake of banking reforms, “today the U.S. financial system is substantially safer and more resilient against failure or disruptions in critical services, and the largest financial institutions are more resolvable under stressed conditions without threatening the financial system or needing any government capital support,” the investment banking chief wrote. “Financial institutions have significantly more capital and usable total loss-absorbing capacity (TLAC),” Solomon added. “They have also reduced the percentage of their liabilities that consist of short-term wholesale funding and other runnable liabilities, while at the same time significantly increasing the percentage of their assets consisting of cash and other high quality liquid assets,” he said. The CEOs’ prepared testimonies also highlighted a common theme of diversity, culture, and philanthropy. Corbat noted that Citi was the first firm to voluntarily report its unadjusted median pay gap between men and women, and pay differences between minorities and non-minorities. “We found that the median pay for females globally is 71 percent of the median for men, and the median pay for U.S. minorities is 93 percent of the median for non-minorities. These numbers underscore the importance of achieving the representation goals we have set for more females and U.S. minorities to hold senior and higher-paying roles at our company,” Corbat wrote. “We recognize that rebuilding trust is harder than rebuilding your balance sheet. Coming out of the crisis, we faced a number of legacy issues and also identified other areas where our conduct fell short of our standards,” he is expected to say. “As a result, we decided that it was not enough to change our structure. We needed to and did invest in our culture, and have made ethics a foundational part of our firm,” Corbat added. Meanwhile, Solomon reiterated that he has aimed to promote diversity at all levels of the firm since taking the helm in October. “The fundamental task is to build our diverse pipeline from analyst to partner – that is the work that leadership at the firm has been focused on and where we still need to do better,” Solomon added. Morgan Stanley’s Gorman highlighted the firm’s recruitment efforts for women and said there is “still work to be done” around diversity – a sentiment echoed by Dimon. “We are committed to creating an inclusive organization and understand that with diversity comes strength,” Dimon wrote, adding that the number of black managing directors has risen in recent years. “A good start – but just the beginning,” he added.